Dierks Bentley has built a reputation as both a forever-young drifter and a dedicated family man, put in millions of miles on headlining tours and taken the fearless stylistic detours of a truly authentic artist. 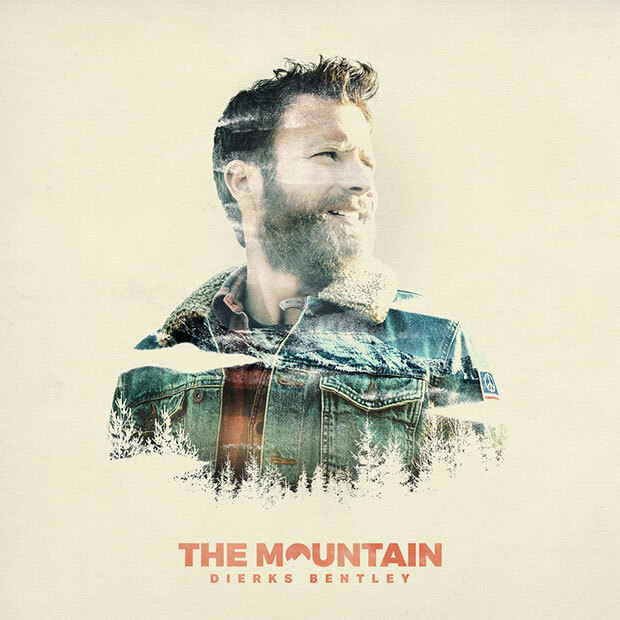 He continues that journey with his highly anticipated ninth studio album, The Mountain (Capitol Records Nashville), set for release June 8th. Reaching a new creative high, Bentley co-wrote 10 of the 13 new tracks that are unified by themes of presence and positivity, and range in style from textured rock to acoustic folk, feeling both rooted and expansive at the same time. The Mountain‘s story begins in the Rocky Mountain resort town of Telluride, Colorado, which every summer plays host to a celebrated bluegrass festival. Owing to his well-documented love of the genre, Bentley has attended the festival multiple times over the years, always making a point to slow down and tune back in to the world around him. But after performing on the festival’s main stage in 2017, the idyllic surroundings became more than a much-needed getaway.